Get a free $2 Dreft coupon here by filling out the form on their website. Amazon has Lady Gaga's new album "Born This Way" for $0.99 today only! Also, after you purchase the album you should get an email offering a year free of 20GB online storage with the cloud. This is exactly what I've been looking for! Somewhere safe to backup all my videos and photos of the kiddo. Enjoy! Today's Living Social daily deal is delicious! Get $30 to spend at Nello's Cafe in Ashland for $15. 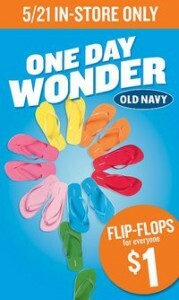 This Saturday 5/21 is $1 flip flop day at Old Navy! Time to stock up. Limit 5/customer. Details here. Did you get a paper on Sunday? 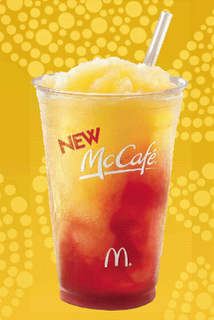 If so make sure you look in the USA Weekend or Parade magazine insert for a free McDonald's Strawberry Lemonade coupon. If you didn't have a paper (or you already recycled it) then don't worry. You can still save $1 using the coupon found here. Enjoy! 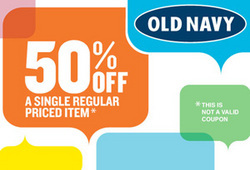 Rare 50% off 1 regularly priced item at Old Navy. Expires 5/15 but you can only print it until midnight tonight so hurry! 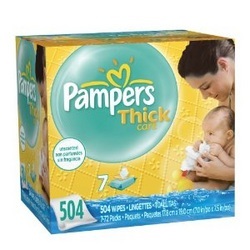 Amazon has Pampers thick care baby wipes 504ct for $9.79 for amazon mom members when you subscribe & save (you can cancel your subscription anytime). Clip the $0.50 coupon located below the S&S information to bring your price down to $9.29. That's less than $0.02 per wipe (I consider $0.03/wipe or less a good price.) If you aren't an amazon mom yet you should check it out. Its free, you get up to a year of free prime membership, and you get extra savings on products for babies/kids! Don't forget to stop by Starbucks for their 1/2 price Frappucino happy hour!!! They have a new mocha, coconut Frappucino that is unbelievable! Enjoy! Now this is a cool deal! 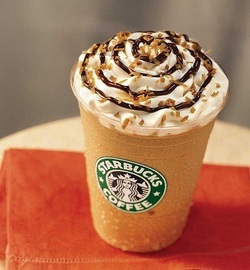 May 6-May 15 Starbucks is offering 1/2 price Frappuccinos from 3-5pm. Perfect afternoon pick-me-up. No coupon required. I love the caramel frappuccinos. Which flavor is your favorite? Enter the following codes for 5 points each: BKKCSBBMSPNSPGB & BJKGWQMBTSRCPGB If you are new to diaper rewards programs check out my Incentive & Rewards Programs tab for details and a link to the master list of free codes. Enter code YIYY9Y6DPDPD6DT to get 5 Gifts to Grow points at Pampers.com. If you are new to diaper reward programs check out my Incentive & Rewards Program tab for a rundown and a link to the master list of free Pampers codes. to ensure it is valid before posting.